The 1,400 employees at Rhythm & Hues have been bracing for the worst ever since TheWrap broke the news last week that the Oscar-winning visual-effects shop was mired in financial difficulties and might be acquired by Prime Focus. But that deal fell apart. And on Monday, founder John Hughes called designers and artists to a town-hall meeting at Rhythm & Hues' El Segundo headquarters to paint a bleak financial picture, an employee at the meeting told TheWrap. Though the reasons for Rhythm & Hues' failure are myriad, ranging from the cutthroat nature of the bidding process for new projects to the industry's slender profit margins, Hughes made a point of stating that the drive for tax subsidies had undermined California-based business. Countries like Canada and the United Kingdom offer generous tax subsidies that have lured away effects work in recent years, contributing to the closures of more than a half-dozen visual-effects shops in California. 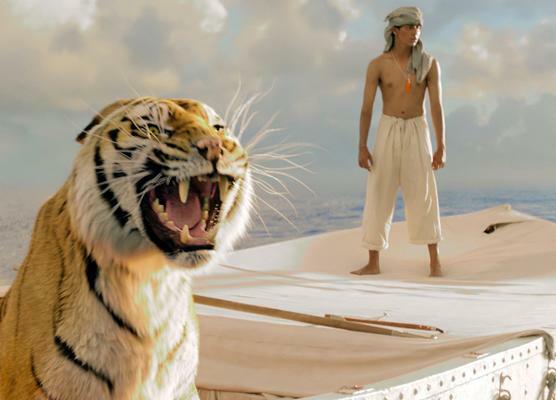 Rhythm & Hues, which is up for Oscars for its work on "Life of Pi" and "Snow White and the Huntsman," has attempted to compensate for the globalized nature of the business. It opened a branch in Ontario and sought out cheaper labor in places like Malaysia and India, but Hughes said the company was still at a competitive disadvantage compared with foreign shops. He said studios can get as much as 60 percent of their production costs back in these countries by factoring in a combination of tax breaks, subsidies and state-supported healthcare in places like the United Kingdom. The group that gathered at Rhythm & Hues this week was substantially diminished from the one that assembled last Friday to listen as management informed them that payroll had been suspended indefinitely. Over the weekend, roughly 200 staffers received phone calls telling them not to report to work -- they had been laid off. Sunday night, word that Rhythm & Hues was handing out pink slips spread across social media platforms and industry blogs, and worried employees texted, called and g-chatted with one another to find out who was on the chopping block. A spokesman for Rhythm & Hues did not respond to calls and emails seeking comment, nor did the company's attorney Bob Baradaran. The company did release a statement Monday acknowledging that it was filing for bankruptcy and saying that it hoped to emerge from the process stronger. Transparency was baked into the ethos of Rhythm & Hues, current and former employees tell TheWrap. Since it was launched in 1987, Hughes (right) has made a habit of hosting weekly company meetings during which he openly discussed the company's finances, taking staffers through what Rhythm & Hues had in the bank and what films it was bidding on. "John Hughes is the soul of company; he is so humble in every way -- from what he drives to what he wears," the employee at Monday's meeting told TheWrap. "No other company would do something like that." That practice halted roughly a month ago, a Rhythm & Hues employee, who asked that his name not be printed, wrote in a blog on TheWrap last week, as the company's executives closed rank to try to find a way to avert Chapter 11. With the company now publicly acknowledging that it is entering into reorganization, the cloud of secrecy lifted again. Hughes told the crowd at the hour-long meeting that the company had secured a loan from several studios to allow it to stay open while it is in bankruptcy protection. That money will be used to allow it to meet its payroll obligations and continue working on Universal's "R.I.P.D.," 20th Century Fox's "Percy Jackson" sequel and Warner Bros.' "The Seventh Son." Spokespeople for the studios did not immediately respond to TheWrap's requests for comment. Rhythm & Hues had also been working on "The Hunger Games: Catching Fire" for Lionsgate, but the studio has pulled the project and sent it to another shop, the individual at the meeting said. "Category 6," a Warner Bros. disaster film, may also be sent to another visual-effects company depending on Rhythm & Hues' financial situation, another individual with knowledge of the situation told TheWrap. Hughes said that even as it reorganizes, Rhythm & Hues would continue bidding on projects and said it is possible that some of the films that were being pulled would return to the company. Payroll has been suspended at the company, but Hughes told employees that the company's lawyers will ask the bankruptcy court judge to approve its loan from studios as soon as possible. That will allow people to get paid by early next week, he said. Hughes made a point of stressing repeatedly how grateful he is to the studios for standing by Rhythm & Hues, calling them "extremely helpful" and "very cooperative." Earlier, three studios, Universal, Warner Bros. and 20th Century Fox, had attempted to keep the company afloat with a $20 million bridge loan. That would have helped the studio avert bankruptcy until Prime Focus could purchase the company. However, the India-based effects shop was brought into discussions about a possible Rhythm & Hues acquisition only two weeks ago and could not raise the funding necessary to pull off a deal of that size in such a short period of time, according to an individual with knowledge of the talks. It remains interested in acquiring or partnering with the company, but only if it emerges from Chapter 11. A spokeswoman for Prime Focus declined to comment. At Monday's meeting, staff was still shell-shocked by the news that many of their colleagues had been let go and that their own jobs were in jeopardy. However, they applauded Hughes and his team, who have built Rhythm & Hues into a leading effects company over more than two decades, one that is widely expected to win a Visual Effects Oscar this month for its work on "Life of Pi." Yet feelings remain raw, with staff members questioning how an industry-leader like Rhythm & Hues could still find itself unable to stay afloat in a business that is growing more competitive and less financially rewarding each year. "The industry is shooting itself in the foot," the Rhythm & Hues employee at the meeting said. "People can't be creative if they're constantly worried about their jobs. Farmers treat horses better."